Fluoropolymer coatings have many advantages when compared to galvanized coatings and plating. 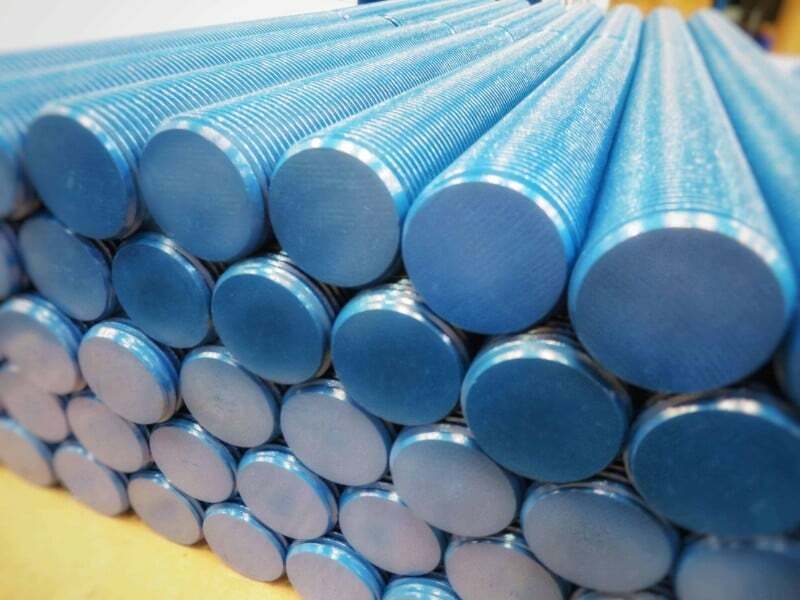 Hot dipped galvanized coatings and cadmium or zinc plated bolts will freeze when subjected to the corrosive environments found in manufacturing plants, offshore oil rigs etc. Most often removing the nuts requires a cutting torch. With FluoroKote#1®, these same nuts and bolts exhibit easy on and easy off characteristics increasing worker safety. Cadmium and zinc plated fasteners provide similar corrosion resistance, but do not compare to the lasting resistance of fluoropolymer coatings. These conventional plating processes have undergone the standard salt fog test (ASTM B117) and have been rated at 96 hours of corrosion resistance. With a FluoroKote#1® coated bolt that rating jumps to as much as 4,000 hours. The additional corrosion resistance allows fasteners to be disassembled quickly, saving lost down time and man-hours. Galvanizing produces a coating that is uneven, rough and thick. The rough surfaces make assembly difficult and a tight even tension on each bolt impossible. If used in sealing joints such as flanges, heads or inspection covers, the inconsistent tension forms an uneven fit resulting in a high probability of leaks. With a FluoroKote#1® coated bolt, tighter more consistent tensions are achieved with less required torque. The costs entailed with other bolt coatings, such as cadmium coating, can be staggering when factors such as man-hours, down time, safety and equipment damage are considered. Bolts coated with FluoroKote#1® prove to be longer lasting, safer and more cost effective than any other coated bolt.